Gringo: semi-disparaging term, or delicious Mexican treat? Turns out it's both! 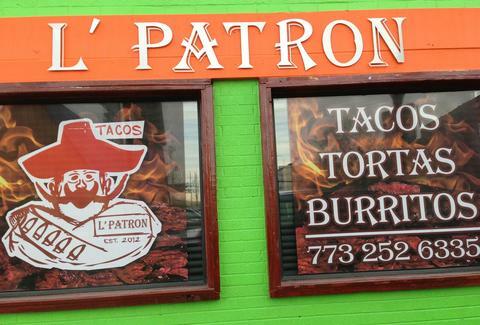 L'Patron is serving up its signature gringos (al pastor/Chihuahua cheese in a tortilla with a side of rice and beans), as well as other South-of-the-border staples in a tiny Logan Square taqueria. The chef/owner, an ex-Topolobampo-er, founded L'Patron with his bros (actual brothers, not the colloquial kind), with the express mission of creating from-scratch tortillas from the freshest ingredients available. They've also got a rotating seasonal menu of salsas and're open until 4a on Fridays and Saturdays, so if you're out late and get called a semi-disparaging term, you'll have their tacos to give you solace.